As all separated or divorced parents know, Christmas or significant holidays become bittersweet. 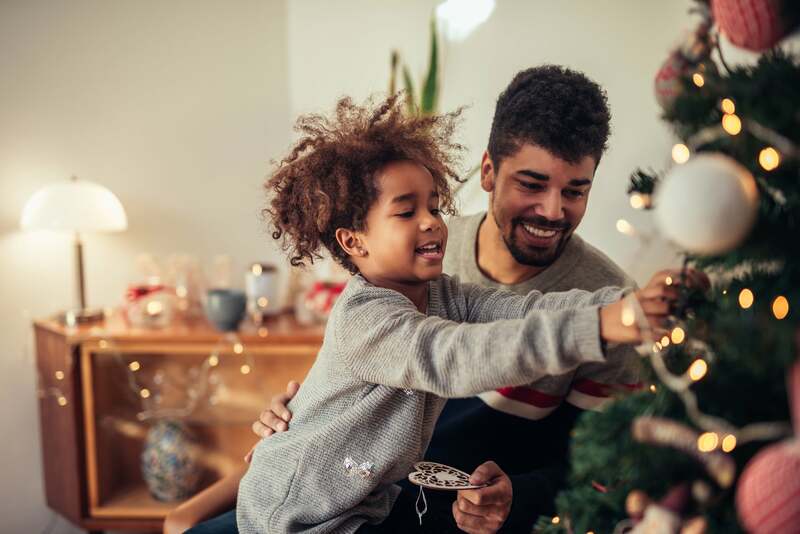 We still adore watching our kids get excited for Santa, or presents, or special foods, and yet at the back (or sometimes front) of our minds, is the knowledge that we will need to share time with them over the holidays. We also know we won’t get to share in each and every of their special moments, and that’s really tough. Usually, when I’m working with both parents on co-parent coaching, we come up with a Christmas plan as part of the co-parent charter that we create. Some parents take it in turns to have Christmas and New Year from one year to the next. Some manage to all get together on Christmas day. And some parents are alienated from their kids and so their kids don’t get to see them at all over the holidays. There isn’t a ‘one size fits all’, but I always encourage parents to see it from their child’s perspective. And generally, that’s being able to see both parents at some point over the holidays. Of course, Christmas isn’t just about parents. It’s about wider families, grandparents, aunts, uncles, cousins. It can be quite stressful for a child of divorced parents to move from one set of people to another and swap roles and house rules. One way to make it easier for your child is to be amicable and transactional. Be polite. Whatever is going on for you, remember you’re a parent and that demonstrating to your child that you can be polite to your ex will make them feel much more secure. Share Christmas lists with your ex and agree in advance what you are going to buy. Try and have an hour or two as a whole unit if possible, maybe share a mince pie, or give your child a joint present. Demonstrate that you can unite for them if you need to. If you’re not living near each other, absolutely video call/call on Christmas day, so your child can speak to the parent they are not with. Have some small presents under the tree from the other parent, that your child can open. This helps your child feel held in a parental bubble and assured that you communicate and are fine to be around each other (however you might feel inside). And finally at handover, always be polite, be upbeat with your child (changing houses is always a big deal), and send them off with a kiss, a hug and maybe a treat or two. If you need to cry or scream or shout. Do it when they are out of earshot.